Looking for a Bag Sealer? When it comes to fusing thermoplastic material together, there is nothing quite so efficient nor as productive as a heat-powered bag sealer – if you are looking to create seamlessly sealed plastic bags and sheaths for private, commercial or even medical use, Spirepacks’ range of effective and diverse heat sealing equipment can help ensure that you can easily create tight, manageable bags for liquids, small components and even foodstuffs – whatever you may need to seal in, we have the equipment to help you do so. Why Buy a Bag Sealer? Heat compressing plastic and other materials is a resilient and efficient way of creating custom bags and packaging for a variety of different contents – whether you are looking to distribute goods to customers, or are looking for a simple way to store items and equipment, there are many bag sealers which will suit your needs. If you are starting out as a sole trader or are considering a new way to store and transport goods, a plastic sealer for bags may well provide you with the solution you are looking for. One bag sealer does not fit all – as there are different types of heat sealing equipment available which can help fuse plastic and other material together to create strong and resilient bags for a variety of uses. The most popular type of sealer machine uses impulse heat, which is perhaps the most efficient and cost-effective – as an impulse heat sealer will only use energy or create heat when it is in use. This type of sealer does not require extensive powering-up, and come in a range of different shapes and sizes dependent upon the types of bag you wish to seal. Spirepacks offer impulse heat sealers ranging from 200mm up to 1000mm in size, meaning that you can take advantage of our range to seal smaller envelopes up to bigger storage bags at your convenience. We also offer an impulse bag sealer range with integrated cutters, which allow you to manually measure and cut custom bag sizes from a roll of material. This equipment is rather popular and is perfect if you are looking for a quick and easy way to cut and seal bags from large amounts of material. For an alternative way of sealing and containing within plastic and more, a vacuum sealer machine may also be worth your consideration. What Can I Use Bag Sealers with? Our impulse bag sealer range works with a wide variety of materials and plastics, making them a safe and affordable tool to keep in your arsenal for whenever a need for efficient and resilient bags may arise. Our sealers will allow you to heat seal basic thermoplastic material, PVC foil, cellophane, polythene, polypropylene and aluminium-plastic film among others – while the material you can use to seal together will vary from sealer to sealer, you can rest assured that our equipment is built and sold to provide as wide a coverage as possible. 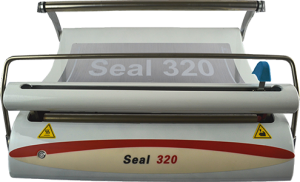 Heat sealers are built to last, meaning that with our warranty backing your purchase up, you have nothing to lose! As a premier provider of heat sealing equipment, accessories and a font of knowledge on all things related to the bag sealer, don’t miss out on our fantastic deals today – with a wide range of products at competitive rates, have a look at our online catalogue and contact us with any questions you may have. Why not fill out our web form or call us directly on 01246 860200 – and we will be happy to help you further.